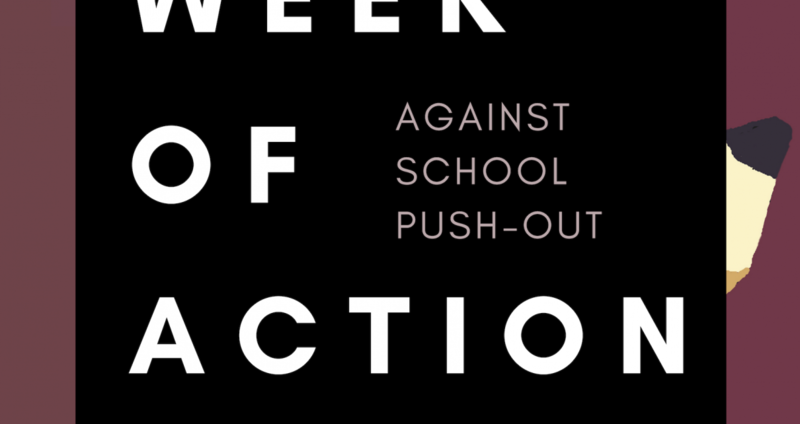 Welcome to our 9th Annual National Week of Action Against Schools Pushout. This year’s theme is Counselors, not Cops! 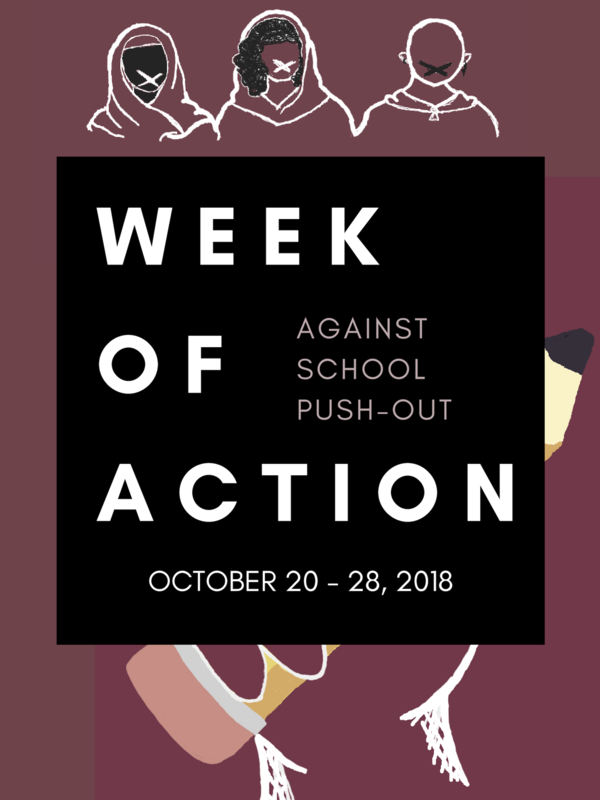 Dignity in Schools Campaign’s National Week of Action Against School Pushout is an annual campaign in October for communities across the nation who are calling for an end to the criminalization and school push out of youth of color, LGBTQ youth, and disabled youth. > 2-5pm at El Pueblo in Raleigh, NC. > We will have stationary, envelopes, stamps, tunes, and food from Mellow Mushroom. > All ages. Just bring yourself and a friend! 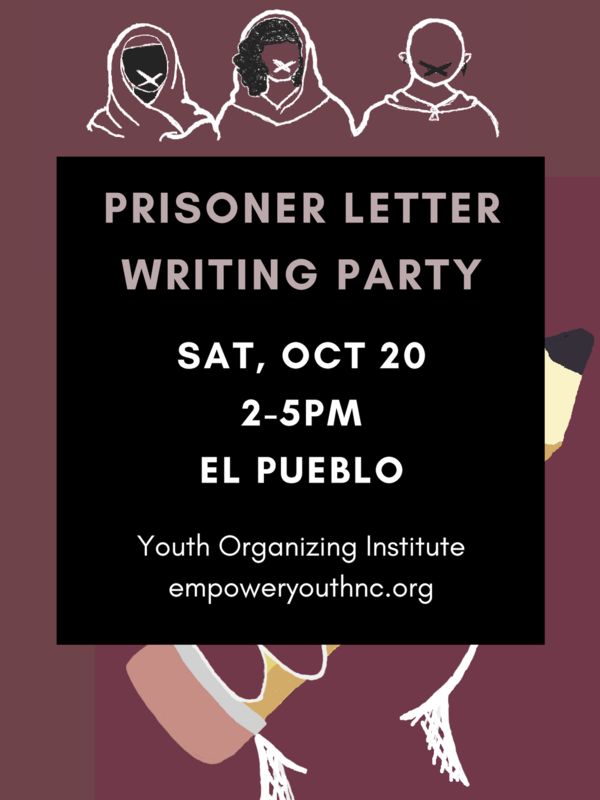 In partnership with El Pueblo Inc., the Youth Organizing Institute is hosting a Prisoner Letter Writing Party. North Carolina is the last state in the US that tries 16- and 17-year-olds as adults automatically. Even though the law changed last year, it continues to be in effect until December 2019. Regardless, children as young as 13 can be tried as adults for violent offenses. This is a major tool for the School to Prison Pipeline in our state, which overwhelmingly affects Black & Brown & LGBTQ youth. Join us for a community forum to discuss the school justice partnership (SJPs) mandated by the NC Raise the Age law. Information about the WCPSS diversion program and solutions to reduce the number of school arrests will be shared. “Food, childcare, and interpretation will be provided”. 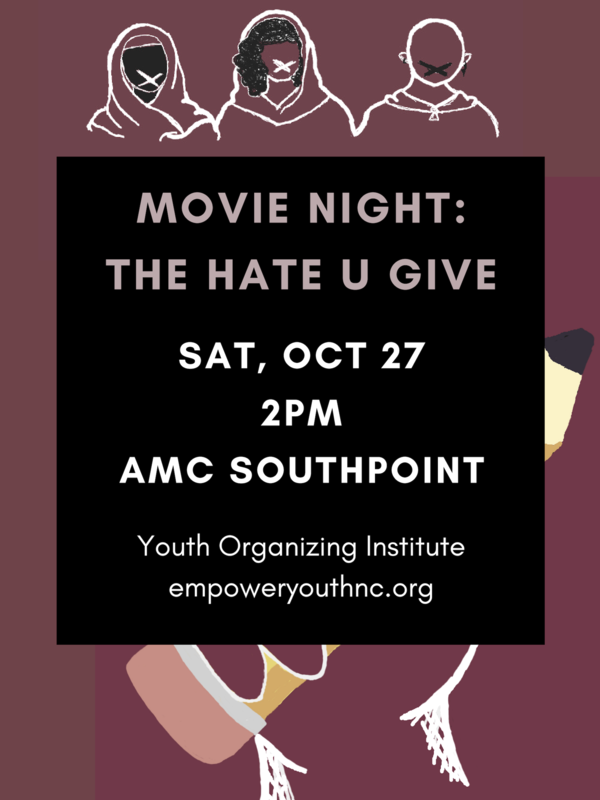 We are going to Southpoint AMC to watch the Hate U Give! This is an intergenerational event – free for youth. If you are a youth in Durham and need a ride, please contact us.